Why is Moz Called Moz? Here’s an inspirational tale of a curious man who grew his company, even in the face of a $500,000 debt, no college degree and at one point in time, just rudimentary knowledge of why one little blue link ranked above others. 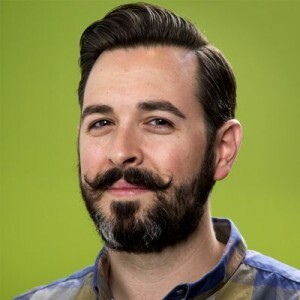 Moz, previously SEOmoz, was founded in Seattle, WA by Rand Fishkin and Gillian Muessig (Rand’s mom) in 2004; however the startup journey commenced years before then. In 1981, Rand and his parents moved from New York to Seattle after his father accepted a position with Boeing. Shortly after arriving in Seattle, Gillian started a business called Outlines West, which provided a variety of marketing services to small businesses. Fast forward to 1999, when Rand began working for his mom. While following his passion for the evolving web, he attended classes at the University of Washington, but dropped out in 2001- just two classes shy of graduation. Without a degree or a job, Gillian offered her son a position at Outlines West. “At the time,” says Rand, “I built mostly static Flash + HTML websites for local small business around the Seattle area: small banks, dentists and even a retail clothing store.” Things seemed to be on a rise for Fishkin, until the tech bubble burst causing stocks to crumble, companies to fold and much uncertainty in the direction of the economy. Over the coming months, demand for marketing services continued to decline, debt continued to grow and there just isn’t an adjective to describe the level of stress that followed them around. Fortunately, after strategically shifting their business from a consultative model to empowering marketers to better themselves in the SEO space, they were able to slowly climb out of debt. They focused on scale, driving recurring revenue and developing useful tools for SEO marketers, which inspired them to release a monthly subscription service called “Pro Membership.” This caught the attention of Ignition Partners and Curious Office, who later co-invested $1.1 million to expand the business. Debt free and catching just a glimpse of product market fit, Rand, Gillian and team could finally take a deep breath and see the future with some clarity. No longer 100% devoted to SEO, Moz now provides software to track all of a website’s inbound marketing efforts—search marketing, link building, social media and brand mentions— all on one platform. Moz Analytics tracks each effort with data visualizations, insights into competitors’ data, and actionable recommendations to improve performance. Additionally, Moz has developed several tools to improve the creation and optimization of content: Open Site Explorer, Keyword Difficulty Tool, On-Page Grader and the Mozbar to name just a few. The company is CEO’d by Sarah Bird and continues to showcase their expertise in the space, with over 300,000 community members looking to them to reveal the next tool, article or video that will improve their brand’s reach. Why is it called Moz? I chose the name SEOmoz because I admired the ethos of companies like Dmoz, Chefmoz, Mapmoz, Mozilla, and others back in the early 2000s when I started the SEOmoz blog, and I wanted my site to have those same characteristics around making hard-to-get information transparent. When we saw an opportunity to get the domain Moz.com and rebrand to help us go broader than just SEO, we jumped at the chance. If you think way back, what other brand names did you consider? SEOmoz was actually the only one I initially considered back in 2004. 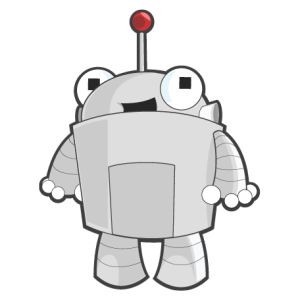 But, as we were considering going broader in 2012/2013, we also looked at Mozbot.com and Mozware.com if I recall. What tech brands do you admire? I admire a lot of things about Etsy – how they’ve created a market that helps hundreds of thousands of folks who wouldn’t otherwise have a great platform for their work and passion, how they’re generous with employees, and how they focus on diversity. I’m also a big fan of many of Google’s initiatives around the world – I think the way they support women’s rights and gay rights even in countries where those things are very detrimental to their relationship with governments is admirable. Of course, I have plenty to quibble with about Google, too (including their supposed value of transparency when they’re so opaque about the most important part of their company – how their ranking system works). SEE ALSO: Why is Wistia Called Wistia? I have to ask, have you ever interviewed for a position at Google? Would you ever consider working there? I’ve never interviewed anywhere actually (at least, not since a couple service jobs in college). I’d certainly consider working at Google – especially if I could do more work to help make SEO and organic marketing more transparent to Google’s users. Do you have a favorite Whiteboard Friday video? Hmm… Maybe this one from Nathalie Nahai. I think there’s a tremendous amount we have to learn about how people work in the SEO field (because we’ve been so focused on machines and algorithms for so long), and Nathalie made a lot of that accessible in just a few minutes. The hair, the stache, professionally maintained or personally? Ha! All me on the mustache and beard, though I do get haircuts from professionals. What’s the best startup advice you’ve received? First get a product people love desperately and cannot live/work without, then scale. Don’t put your marketing cart ahead of your product horse.